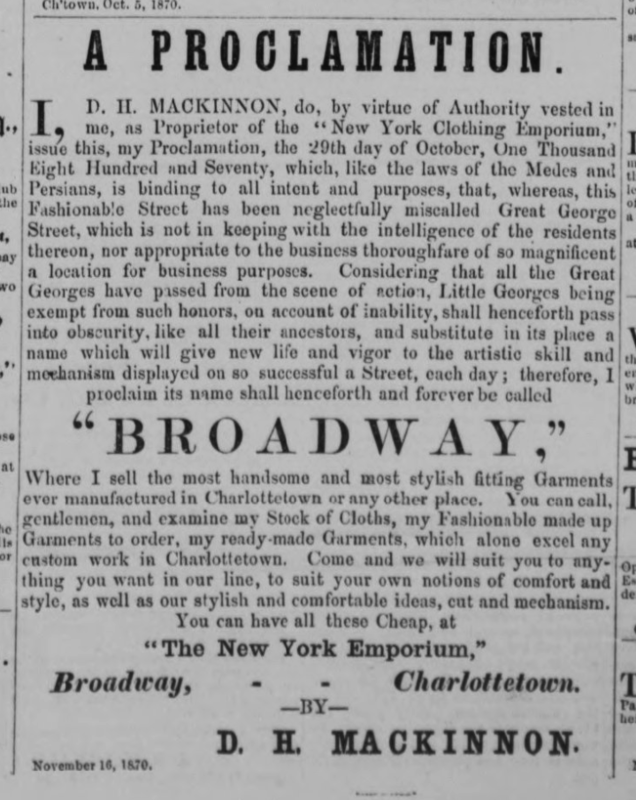 A “proclamation” by businessman D.H. MacKinnon, ran in the December 14, 1870 edition of The Herald, proclaiming a change in the name of Great George Street to Broadway. “Considering that all the Great Georges have passed from the scene of action, Little Georges being exempt from such honors, on account of inability, shall henceforth pass into obscurity, like all their ancestors…” is a great line. Written December 3, 2017 at 1:12 p.m.
Good thing nothing came of it.